SHI International Corp., headquartered in Somerset, New Jersey, has transformed itself from a $1 million “software-only” regional seller into a $6.8 billion+ global provider of information technology products and services. SHI offers custom IT solutions for every aspect of your environment from software and hardware procurement to deployment planning, configuration, data center optimization, mobility services and IT asset management. SHI Account Executives support their clients locally from over 30 offices throughout the US, Canada, the UK, France and Hong Kong. SHI’s goal is to foster long-term, mutually-beneficial relationships with its customers and partners every single day. 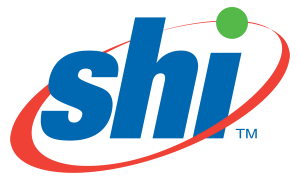 SHI is a $7.5 billion global provider of software, hardware and custom IT solutions.